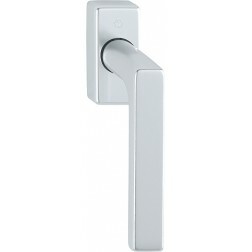 Tilt and turn window handle Hoppe, aluminium Dallas series on rectangular rose. 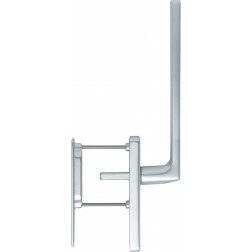 The Dallas series is the most design sought of recent times: squared, and modern. Also available in steel and solid brass. 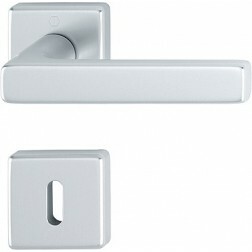 The the substructure of these handles have a solid mechanism ensuring original functionality for 10 years. Furthermore, the mechanism that composes this window handle is realized with Secustik technique, that prevents the forcing of the window handle from the outside. Item shipped in the original box Hoppe.